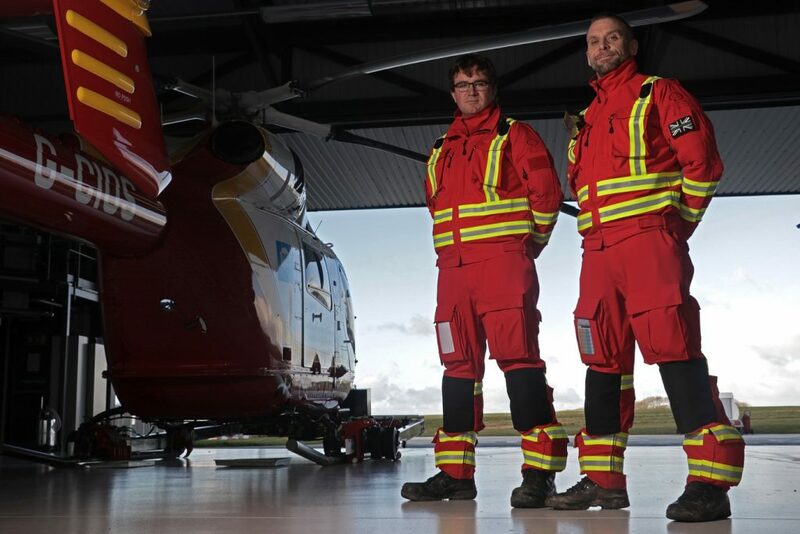 Crew members of Cornwall Air Ambulance have now donned a vivid red uniform to replace the orange uniforms worn for the last two years. The new uniform has been reconfigured to better suit the needs of the crew and is in a striking red colour, fitting the branding colours of the charity and providing greater visibility. It will safeguard the crew for at least the next two years. The previous uniform did a fantastic job in tough, all-year weather conditions but like all clothing that works under constant pressure, it needs to be regularly reviewed and repaired, and eventually fully replaced. The new uniform is bespoke to the needs of the crew and includes a new pocket design and layout so they can carry more personal kit. They also have a lightweight, flexible top suitable for summer weather, which still provides the same level of safety and visibility as their outer jacket. The uniforms are made of highly durable, fire retardant and waterproof material, ensuring the paramedics can move freely and are protected in tough environments. With an average of three missions every day, the crew are called to some of the most serious and critical cases in Cornwall. In 2017 alone, they were called to 896 people in need of emergency medical care.